At NETS we love our pets, too, and we understand every pet owner has different needs. 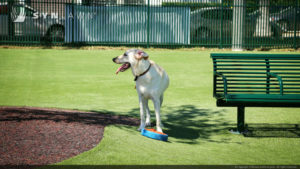 That’s why our Pet Turf System focuses on working with you to find the ideal mix of artificial grass product selection, installation technique, and maintenance schedule to meet your unique and specific needs. 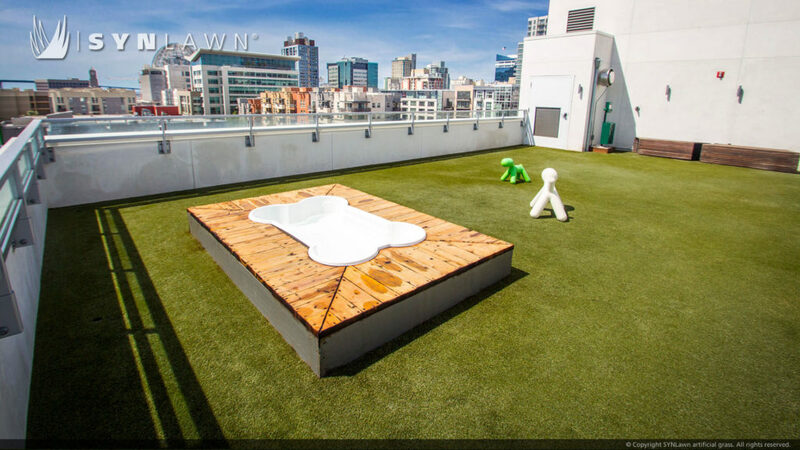 Our low maintenance artificial turf is great for indoor use or outside. 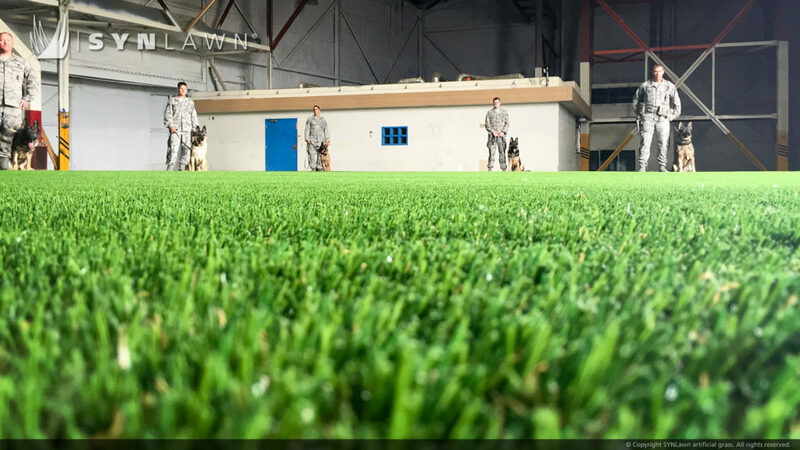 We offer articifial grass solutions that are good looking enough for home use and durable enough for use in dog parks, day cares, training facilities and kennels. New England Turf Store addresses ALL the needs of the pets and pet owners we serve. We consider everything that goes into making the perfect pet area or dog run before we recommend a solution. Pet System Considerations: We consider the size, type, and the number of animals. Size of the landscape area or dog run: We’ll help choose the right surface for your area. The time pets spend in the area: How much wear and tear will your little guys put on the turf? Eco-friendly: Conserves water, eliminates fertilizers and pesticides, and is 100% recyclable. Security measures for destructive dogs: Make sure that your surface is taken care of. 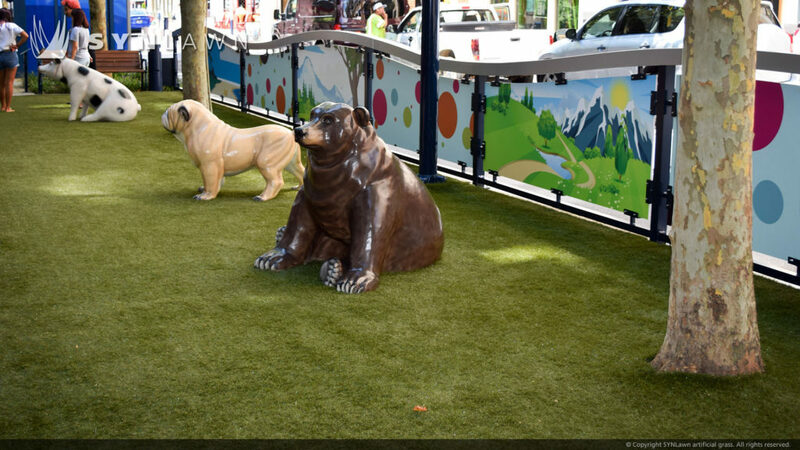 Command is our most popular pet turf for commercial spaces. 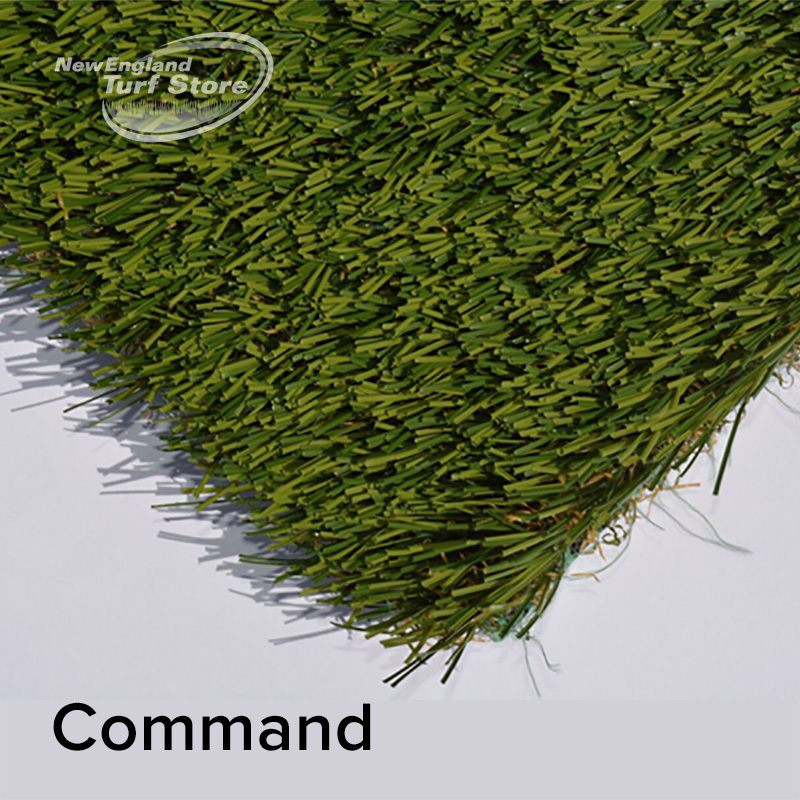 For more details, specs or samples of Command please call or email. 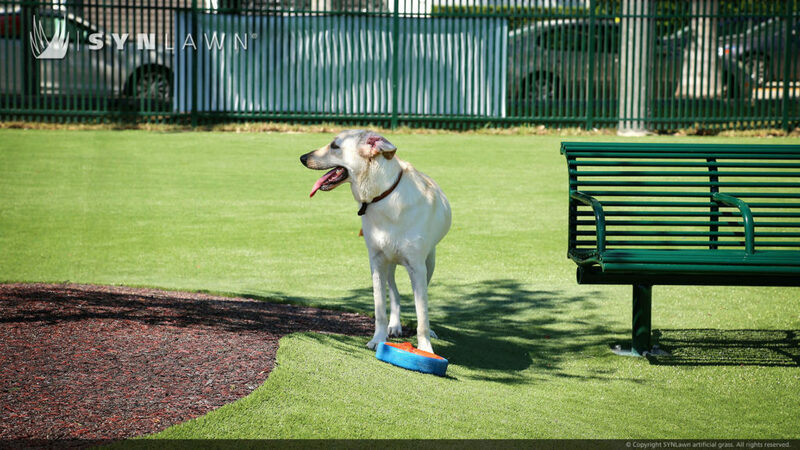 RECOMMENDED FOR: Pet areas for all types of dogs and all types of play or agility areas. Environmentally FriendlyExclusive EnviroLoc™ technology with BioCel™ backing system results in 60%-70% green by weight with greater dimensional stability. May contribute points towards LEED™ certification. Minimal Infill Uses only minimal amounts of silica sand for ballast. Resiliency Dense polypropylene thatch for resiliency and support combined with a new soft polyethylene blade incorporating the latest advancement in technology to create an added support spine cross-section. We love our furry friends just as much as you do which is why we carry pet specific turf to keep your pets happy! For more details, specs or samples, please call or email. The environmentally-friendly BioCel™ backing system is 60%-70% green by weight with excellent dimensional stability. 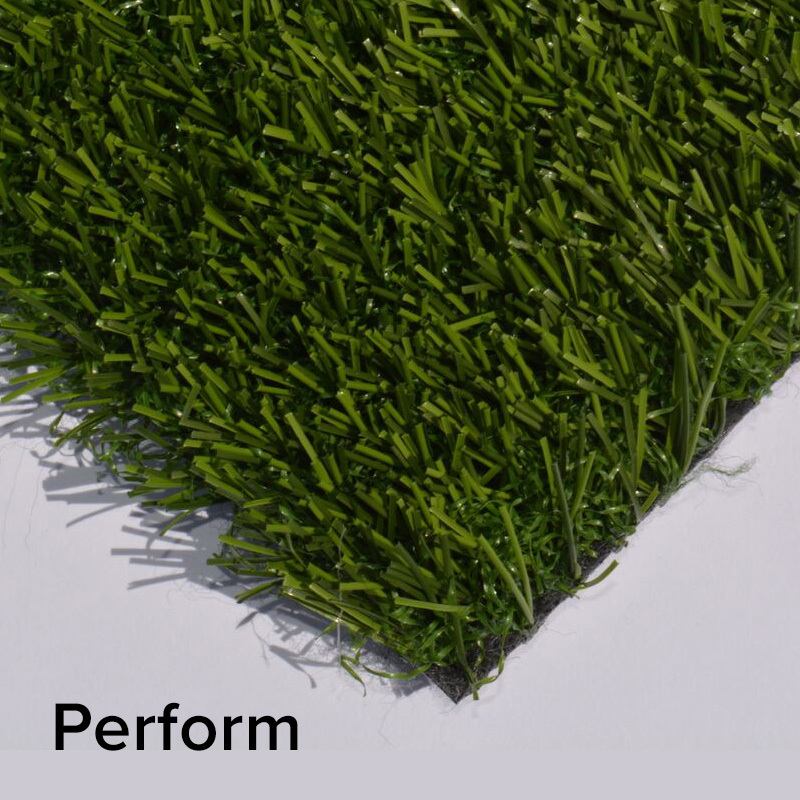 Resiliency Polypropylene thatch for resiliency and support combined with polyethylene monofilament long blades for a soft feel. RECOMMENDED FOR: Residential landscapes, pet areas, play areas, water-saturated, shady problem areas and lawns with medium foot traffic. Environmentally Friendly BioCel™ backing system results in 60%-70% green by weight with greater dimensional stability. Call New England Turf Store @ 781-821-0112 today to talk to one of our landscape and leisure experts. 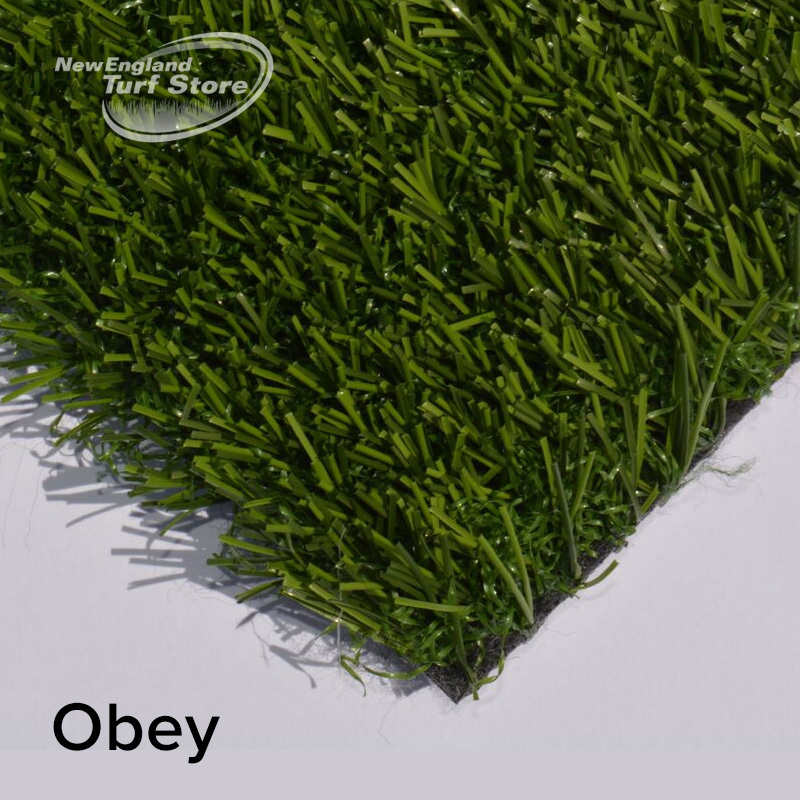 NETS has the widest selection of branded artificial grass pet products in the industry giving you the freedom to choose the right look to fit your landscape. All of our products are good for pets. It all depends on your needs and what is best for your application. No more brown spots. No more holes to fill. 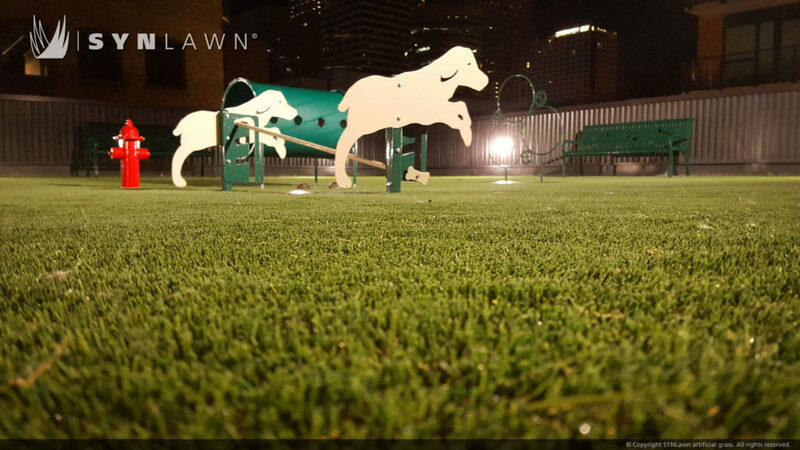 No matter how many pets you have, with SYNLawn synthetic grass, your yard will always look fantastic. 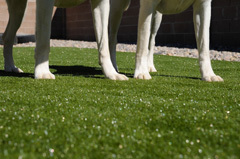 Our artificial grass keeps the dirt and mud off your pets no matter what the weather is like outside. No muddy paws mean no mud tracked in the house. No more digging holes in the yard, and getting dirt all over the place. Let it rain. Water (or any other liquid) drains right through at a rate of 30-inches per hour. With no standing water, your pets will be able to use the area right after the storm. Our artificial grass pet deodorizer, Organic zeolite crystals, are added to each installation reducing 80% of the odors caused by the ammonia in pet waste. We recommend using ZeoFill a 100% natural, environmentally safe odor-absorbing zeolite crystal that prevents ammonia from turning into a gas, thereby eliminating the smell. ZeoFill also helps keep grass cool, won’t clog drainage or deteriorate your grass.